), there’s this part of Filipino cuisine that I wanted to share with my American husband. As a child, I heard of horror stories where families of Filipino immigrants received complaints of neighbors because of the strong smell of some Filipino dishes- most specially bagoong or anchovies which is a condiment partially or completely made of either fermented fish or krill with salt! 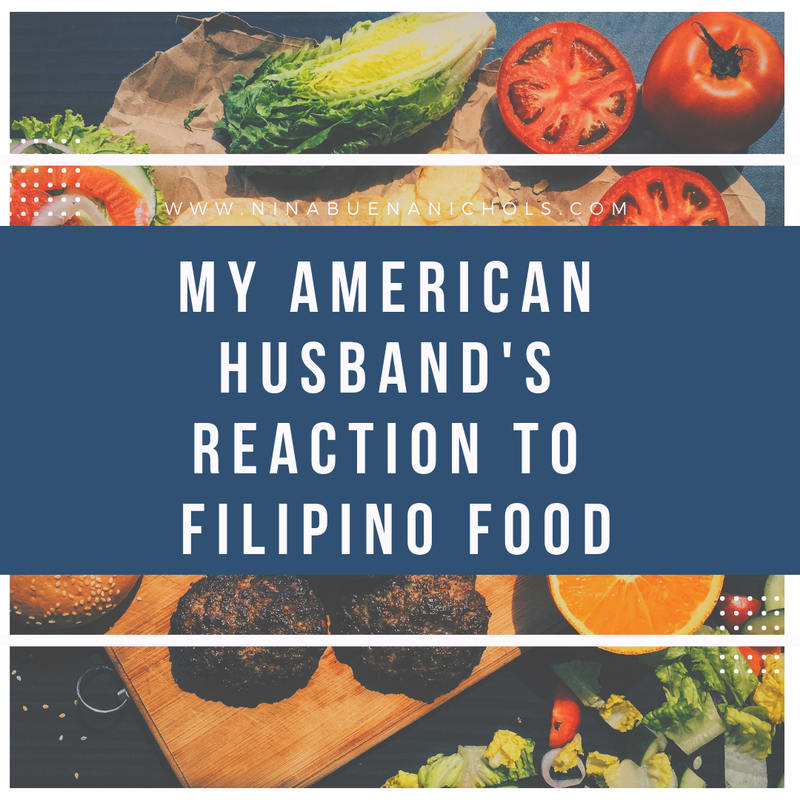 So, here’s some interesting stuff I found out about my husband regarding Filipino cuisine. or anchovies. I had no intention of asking my husband to taste it when I prepared them. I was too worried regarding his reaction about the smell that I was constantly checking on him while I was cooking. He survived the dinner even though the smell was so strong! As for the ensalada or grilled eggplant with anchovies and mangoes, he tried to have a sniff of it in closer proximity but of course he didn’t try it. I still feel guilty about this. 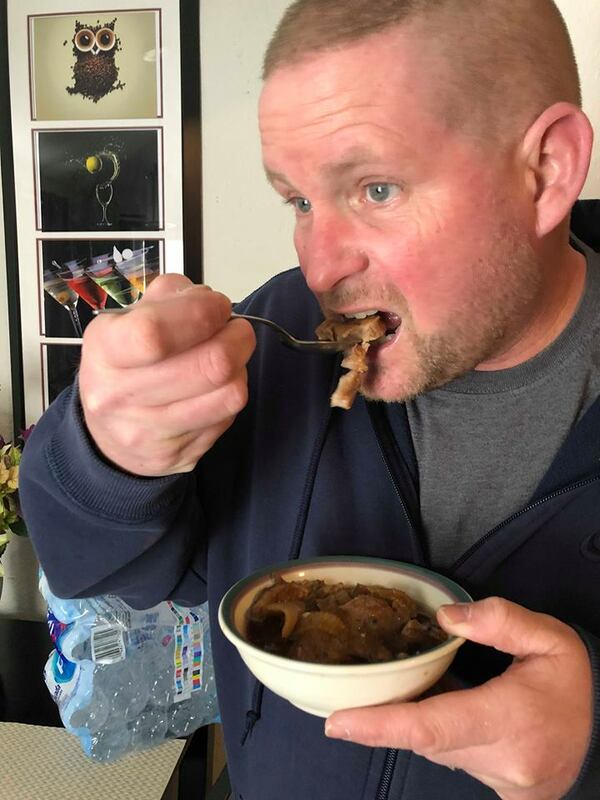 Isaw or chicken liver skewer is not something that I would want my husband to try since I knew what he feels about exotic food. We were having a dinner at a Filipino restaurant while he was visiting me at Jakarta when he had a bite of this on ‘accident’. We ordered pork barbecue and he liked it so much so we asked for another serving. Unknowingly, ‘isaw’ which was ordered by one of our friends was included on the platter and my husband took a bite of it. My friends and I looked at each other and nobody said anything. I knew my husband noticed the difference so he immediately put it down. I was so guilty that I decided to tell him the truth. In fairness to him, he didn’t over react and simply said he knew it tasted different. He did not have another bite of barbecue that night. 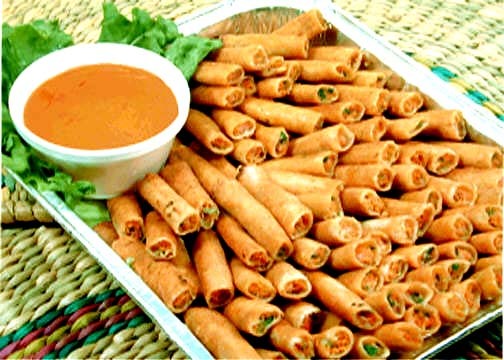 Lumpia is probably one of my husband’s favorite. He could easily wolf down several pieces without batting an eyelash! He loves that it's crunchy. 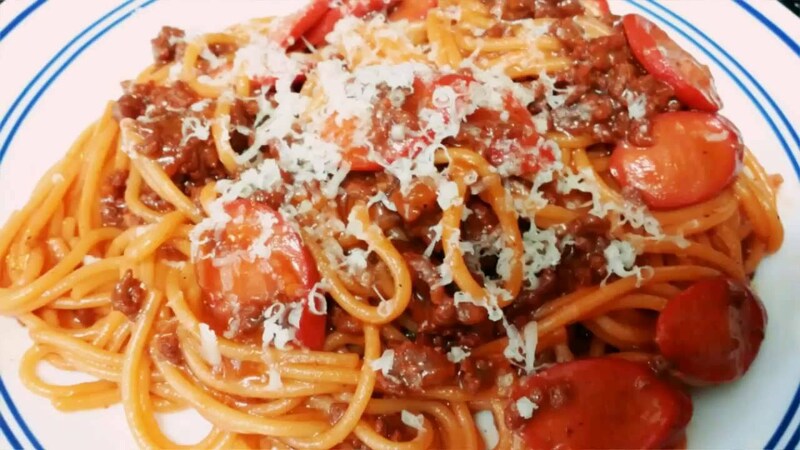 What makes Filipino spaghetti different is its sweetness and the addition of hotdogs on it! I only cooked it once since I’m starting to prefer the recipe here and my husband obviously didn’t like it. Disclaimer: This photo is not owned by the site owner. I have never tried cooking this but my husband and I were watching a TV show when they showed the whole pig roast on the table. He almost threw up! I guess no lechon for him when we visit Philippines in the future. Not all Filipino cuisines are exotic or crazy however you want to label it. Thankfully, my husband and I have a lot of common grounds. We both like pork chops, fried chicken, meatloaf, steak, and of course bacon! Hi Ms. Nina! This is Rafael from BBS. Zeal misses you a lot. 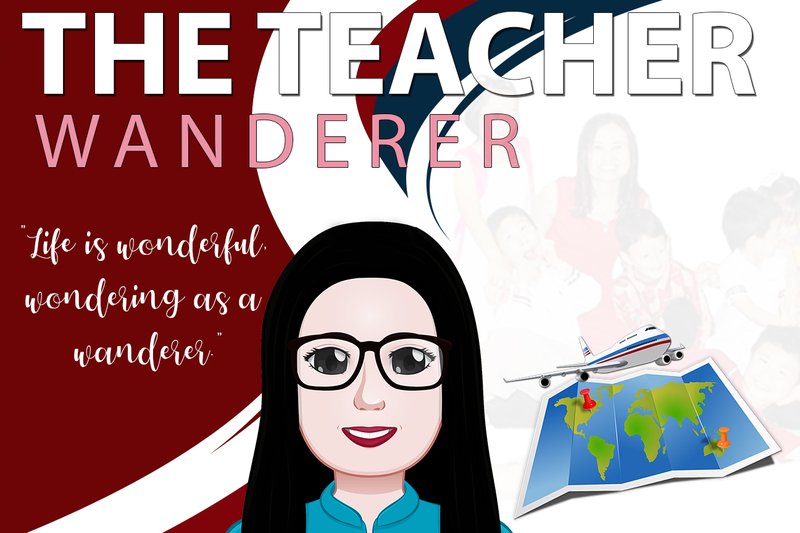 Please keep up the great blog posts! 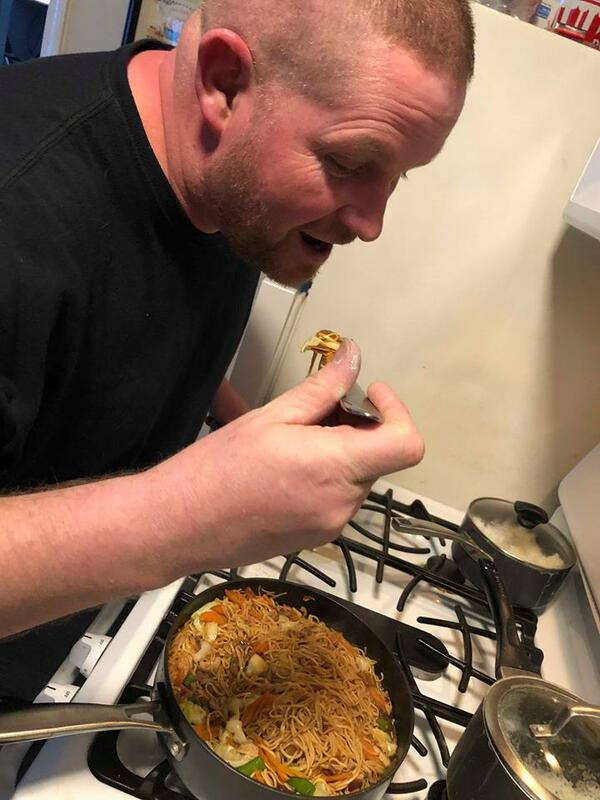 Trying new foods can be quite a shock if you aren't used to the spices used in the foods, I know I personally try to avoid things loaded with spicy things. 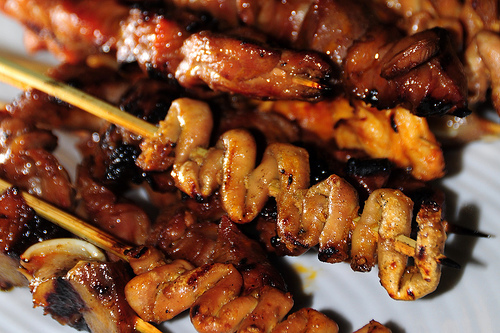 What exactly is Isaw? I wouldn't eat the pig either but the rest looks delicious. That's one of the most famous dish in the Philippines. Food looks interesting, as do your husbands reactions do it. Touching, amusing photos. Yeah. My husband actually surprised me being so game in trying different stuff. My Turkish husband reacted in a very similar way to Chinese food! Ha ha! Kudos to your husband he is such a sport! I can see it now....you serving up dishes and him trying them.....seems like lot's of fun! 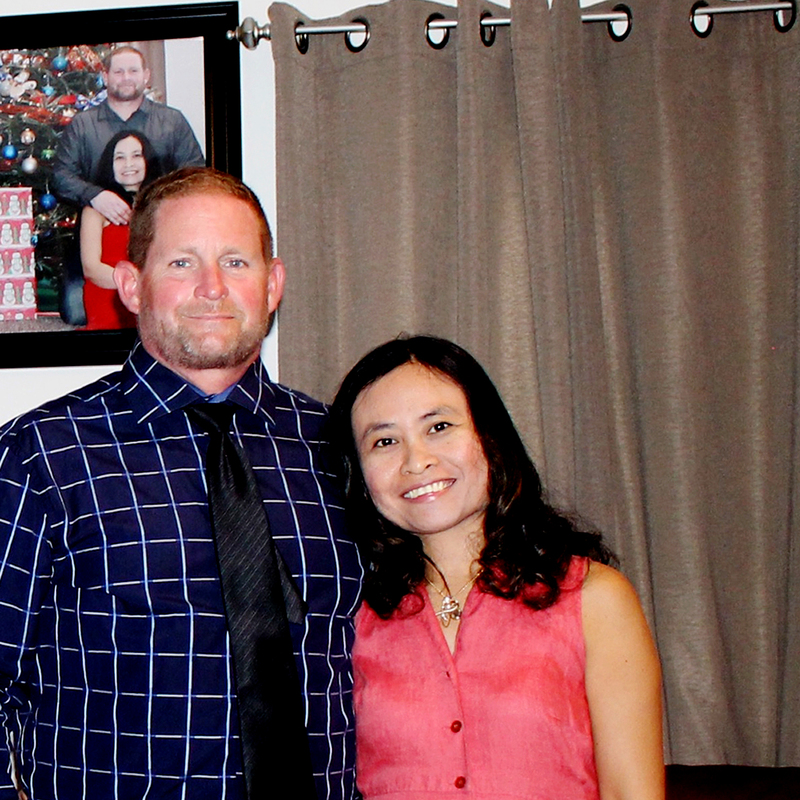 My husband and I are from 2 different continents, and we live in USA. So I definitely relate to your experiences:))). Aww I'm glad that he was a good sport and gave everything a try. It's awesome that you all are able to share your culture in this way! Yes. He was pretty awesome! Omg the food looks so yummy! I do the same with my boyfriend, lol make him try new dishes I make! Yummy for the Filipinos but I know it's a bit strange for him to try those. The food looks so delicious!! We sell Pancit here in the shopping markets near where I live in Australia and it's absolutely delicious! And the Pork Barbecue and Isaw looks super good. I'm lucky that there are Asian stores here so I get to cook whatever dish I like except for some veggies from the Philippines. I'm not very adventurous with food, but man, this was fun to read! My partner constantly tries to get me to eat all kinds of food too! That was a good read.Every cuisine has its special and exotic dishes ,Filipino being no different.But it does take time to adjust and start loving the choices of your partner in a cross cultural marriage. I have not tried any Filipino food till now. Good read for me. I have not tried filipino food but it looks amazing. Your husband is a lucky guy, he gets to try all of these yummy foods! Thank you. I'm lucky that he didn't complain with the smelly ones! I'm just a girl from Nebraska but when I moved to San Diego, California I made a lot Filipino friends. From day one, I loved the foods and visiting the markets with them. I have a lot of Filipino acquaintances here in New York. I was introduced to Filipino vegan restaurant and loved it. Wow! Glad you loved it! My French boyfriend is an expert in eating skewer (isaw) and letchon, both that I couldn't eat more. Filipino foods are very tasty (and sometimes salty!). Wow! I felt bad asking him to taste that. what an interesting insight into Filipino cuisine. The skewers look quite tasty. 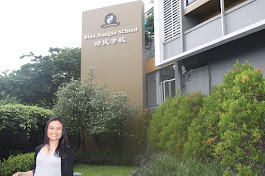 A very interesting post and you walked us through yummy Filipino cuisine. It is great that you learn about your different cultures through food. I guess that is the universal language! Haha. 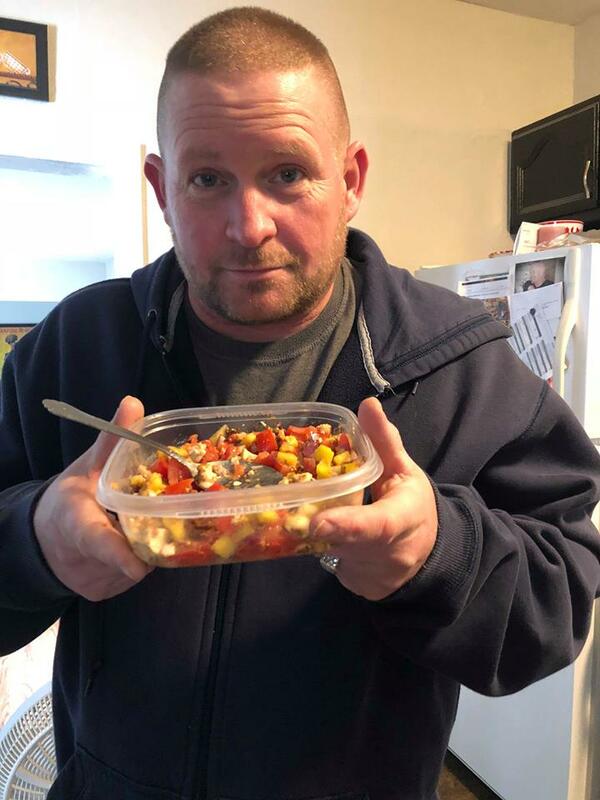 I have tried most of the food in your list and my husband did too. The flavors are insanely delicious and you can never have any dish without a dipping sauce. This was an interesting read. The food looked really tasty. I would love to try making mine one day.